I love the simplicity of this design, where you can see the equilateral triangles and then the intersecting lines to form a diamond. I did do some initial marking for this block. I marked the 2” center line, and on the two sides I marked the 2″ height mark for the intersecting lines. These marks are used as rough guides to evenly separate the sections. This entry was posted in Uncategorized and tagged quilting, quilting designs, triangles, tutorial on April 17, 2015 by mlwilkie. This is great, thanks for doing the work of working out the most efficient way around these triangles and posting. Your stitching is so straight and even. Just beautiful! 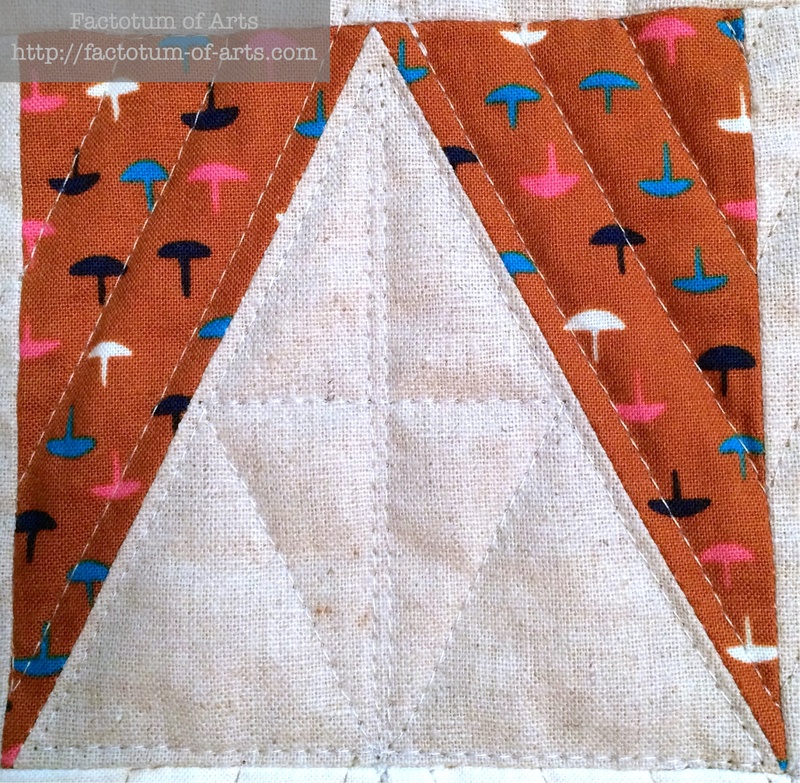 I love angularity in quilts. What a great diagram showing how you started and finished the design. It looks great! I love the thought that goes into how to do the design with the least amount of stops and starts. It looks great. This is really cool! 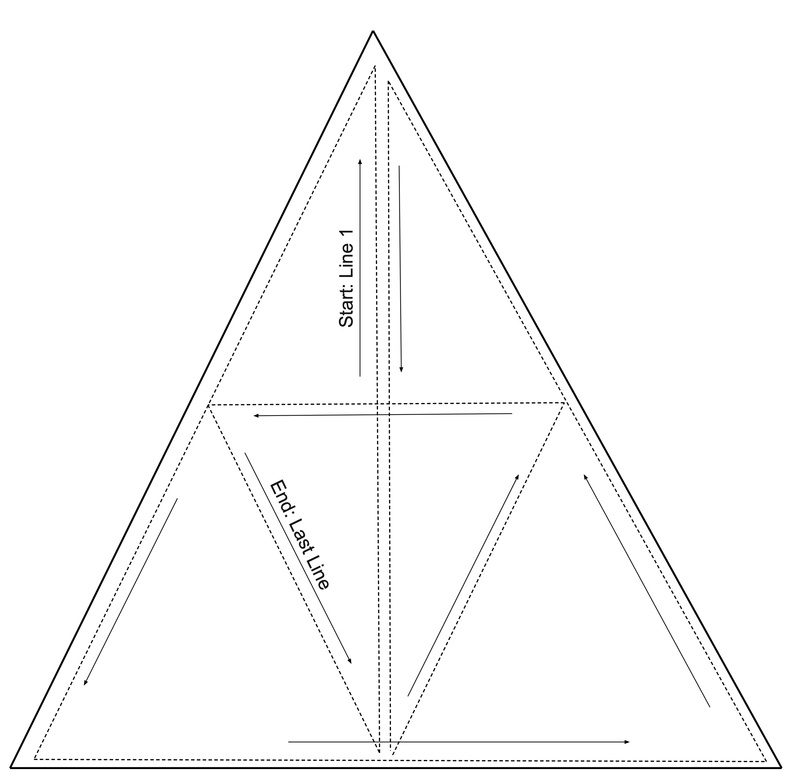 I keep dreaming of making an all-triangle quilt, and this quilting plan would be perfect for that. Thanks for the diagram!